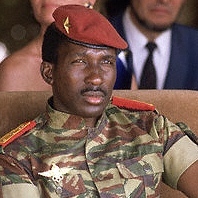 Here is the complete text of a hand-written speech that the revolutionary Burkina Faso President and African statesman Thomas Sankara was set to deliver on the evening of the day he was assassinated, October 15, 1987. Enjoy this rare jewel! 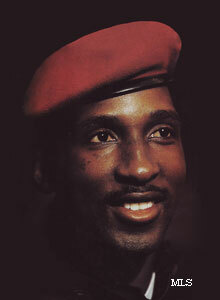 The original in French is on ThomasSankara.net, while the translated English version appeared on Pambazuka. The Revolution’s prestige, and the confidence with which the masses have devoted themselves, has suffered a serious shock. 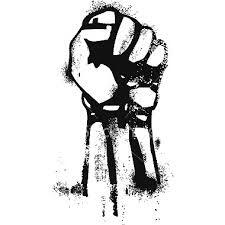 The consequences are a remarkable decline in enthusiasm for the revolution amongst activists, a serious decrease in the commitment, determination, and mobilization of our grassroots base; finally, distrust and suspicion everywhere and factionalism amongst our leadership. There are, on one hand, significant questions which could divide us pertaining to the operating structures and the internal functioning of the CNR based on ideological positions. On the other hand, there are questions regarding the relationships between the principal actors, as each of us is a leader. However, as important as ideological and organisational questions are, they are shown to be less important in our current situation. Indeed, at the soul of any organisation, there is a clash of opposites followed by union of these same opposites. The unity of these opposites is always academic, it is never absolute; it is both relative and temporary. 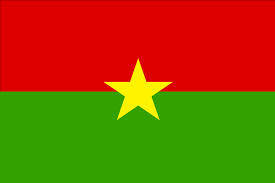 “The unity of opposites is consequently an absolute, exactly as development and motion are absolutes”. This is why balance itself is temporary. It can be questioned at any time. It is our responsibility to preserve it as long as possible, to restore it each time it has been threatened or broken. In the case of organizational and ideological questions, we have benefited each time that someone considered it necessary to raise an opinion different from mine, to defend a position different than mine; you did this with freedom and confidence. These I have adopted and implemented, along with advice, suggestions, and recommendations. Moreover, resolution of disputes between men is always simple when trust exists. This means that as long as the revolution is governed by principles, open debate, criticism and self-criticism, it will succeed in resolving any misunderstandings, provided that trust is maintained. Therefore, work to develop trust and protect it from any criticism, and any threat. Contrary to questions of principles, the resolution of which is simple with trust, problems with human relationships are subjective and can only be solved by absolute trust. In this case, the machinations of certain elements within our ranks have done more wrong, more damage in a few months, than the most ferocious political and ideological struggles between the CNR and its leftist opponents. Taking their presences in the CNR as an unassailable guarantee of their revolutionary credentials, these elements wish to use their privileged position to further the realization of their vision of society, of the roles they intend to play and the places they assign themselves within it. On the one side there is the verbal escalation of the left, on the other there is are practical scoundrels. All of this occurs within the quiet certainty that the CNR protects them against all attacks and that the parliamentarism of the same CNR has given them the right of obstruction as a minority. They abuse these rights to cover all licentious behavior unworthy of a revolutionary activist, but none will oppose them for fear of being suspected of trying to oppose the CNR. This is opportunism! Within the movement, the desire to avoid losing any activists, especially newcomers, instead affected and annihilated all rigor against that which everyone realized as being undisciplined, detrimental, and ultimately discrediting the authority of the CNR. Everyone witnessed the dilettantism, the lightness, which characterized the behavior of elements of this group, which marred their social and militant practices. The title of member of the CNR has been used by them to influence the masses to further their individual interests contrary to the good of the revolution. But the criminal part of their attitudes is the paralysis of the Directorate which they have caused by working tirelessly to create the impression amongst some imminent, unassailable leaders, as being respectable and respected. Under this guise, they could impose their whims and indiscipline without fear of any reaction. They have permitted themselves all kinds of social practices, protected by what they believe is the immunity of “close friends” in such and such leaders. Their high positions in the CNR help, positions not gained through any particular merit, but through simple arithmetic distribution between groups comprising the CNR, through this they have skillfully disguised their machinations. The revolution has greatly suffered because of these elements. Unable to raise the level of debate, they pulled back. They belittled. Fearing unity as the end of their “princely birthright” they demobilized everywhere their program would not find traction; they then poured oil on the fire of division. Gradually unmasked in their practices, and objectively and inexorably committed to the descent which will lead to their destruction, they resorted to even more coarse behaviour, more and more assailed the division within our ranks, the artificial opposition amongst leaders. Thus, they divert attention to hypothetical dissent at the top, while they shirk their duty to the revolution and to self-criticism. You need not look far. The current malaise is a result of criminal behavior which is often unreported. If there exists opposition, it is by no means between those termed “historical leaders”. If there exists opposition, it is certainly between these intolerable elements, who are incompatible with the revolutionary fervor and strength which has been required to deepen the process that began on the 4th of August, 1983. The result of this selfish work, fighting only for themselves at the expense of the public interest, is that we are weakened, and altogether seriously undermined. The wildest rumors have been embraced by the masses. These rumors impact people and cause concern. Panic drives people to the wildest actions… what should you do when you are at the point of desperation! This has caused pervasive concern, the political leadership is distraught that the origin of this evil is widespread, and that the thesis of the opposition, including that of high-ranking leaders, is unconvincing, although convenient in the eyes amongst the elite of our old guard of politicians. Moreover, even those who have made sacrifices for their responsibilities quarrel in vain over the reasons for the opposition. The danger is that one is forced to invent a plausible explanation and justification as it is repeated everywhere that there is no “agreement between leaders”. Never has an antagonism divided us. There have been divergences of opinion, but this is common. Even in the free, confidential debates between us, where there is neither unnecessary restraint nor taboo, there has not arisen any antagonism which could justify or explain these subtle, hypothetical, yet persistent rumors circulated by our opposition. Even our external enemies have regained their belligerence long dulled by our brilliant victories, and audaciously push and regroup the debris of their movements reawakened by these events. Comrades, we cannot permit a few individuals to deceive our people, to condemn the CNR and those who, until now, respected our struggle. We cannot and must not allow a few irresponsible elements to tragically affect our revolution; the spectres of similar rifts are currently haunting Yemen. We cannot and must not let them pervert our revolution; the consequences of such an impasse are currently troubling Grenada. We cannot close our eyes or be embarrassed because of the machinations of a small group when the country is threatened by civil war in the manner of Lebanon or Chad. We are accountable to our people, but also accountable to the international progressive movement because of the hope aroused by the Revolution of August 4th, 1983. Let us stop lamenting the misfortune which has befallen our country. Our sincerity does not excuse our guilty feelings of powerlessness which leads to defeatism. I understand that we are shocked to be accused of what we are not, to be accused of that which we have not done. 1) That we go to the masses to demonstrate our cohesion by holding meetings denouncing and condemning these divisionary currents, ridiculing them as they deserve, those who until now extolled, with more or less goodwill, the virtues of the revolution. It is urgent that we go out, that we talk, that we reassure our people. It is urgent. 2) We must eliminate troublemakers from our ranks. All revolutionary social struggles contained fraudulent individuals infiltrating their movements. Our current situation and long-term situation must be changed to eliminate them. Our revolution will advance with its purification. We will not lose anything by this emotional action, the eventual difficulties will pale compared to what we are currently experiencing, or the suffering which our people are currently undergoing. – The statutes of the CNR, adjusted in light of what we have learned from our present difficulties and those we can predict in the future, the acceptance of the platform of the recent CNR will be a good test of our abilities in this matter. – The economic, political, social and military program of the CNR around which we gather revolutionaries by their ability to contribute to the good of our people. – The Revolutionary Code of Ethics which describes the most exemplary social conduct which each of us should strive to reach. 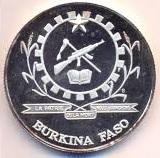 With the help of these elements and an organisation which functions to exterminate factionalism, by a more efficient operation of the Audit Commission, by periodic assessments of what our actions have or have not brought to the people, we will succeed in making the CNR and all other forms of the National Political Directorate true leaders, comprised of nothing but the best of the best, the most steadfast revolutionaries. 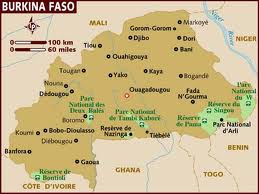 * This speech was translated from French for Pambazuka News by Jeff Wilson. Thanks for reblogging Mark and for visiting the blog.